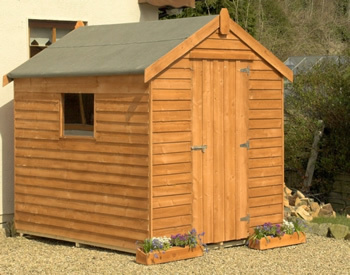 This Rustic Overlap Shed is made from Freshly Cut Irish Timber which is overlapped. Ideal for storage of Garden Tools and Lawnmower. The Apex Roof gives extra Height and the Window can be fitted on either side to suit individual requirements.